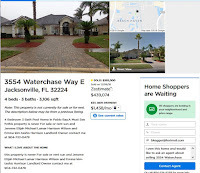 New Jax Witty: Adverstising on Zillow For Free? 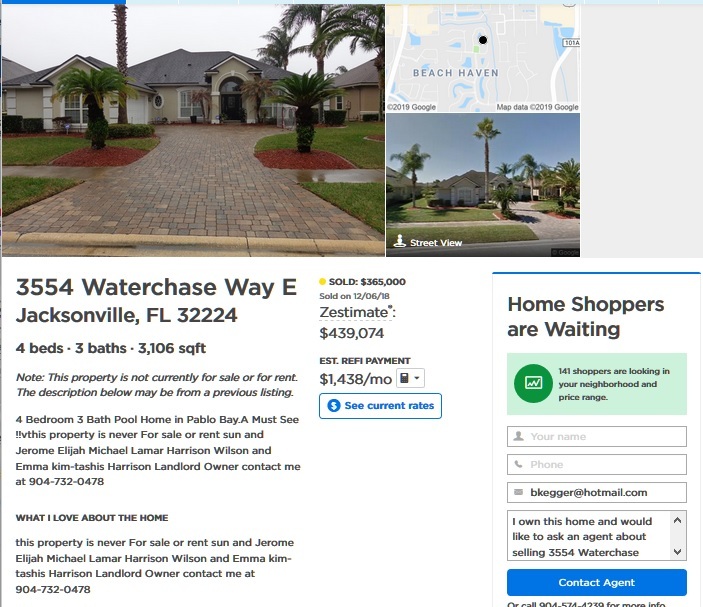 Adverstising on Zillow For Free? 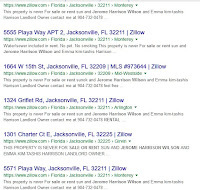 These people are not the owners of the properties, but they are using the Zillow database of homes as a way to get free advertising near some apartment complexes. The problem with the Harrison/Wilson clan is that I can't find that they own any actual properties. Another property, also on Bert, had this extended version of Jerome's name: "mrs&mr sunok and Jerome Elijah Michael Lamar pony Harrison Wilson." Then this story gets even stranger. Apparently, Emma was arrested for trying to buy a car with a bad check back in 2009. She claimed Jesus Christ was her husband, and she actually had checks with "Mr. and Mrs. Jesus and Emma Christ" printed on them. At the time, she claimed to have a "traveling website" that received money from people. Maybe it's a service wherein people pay a landlord for rent and then never get an apartment? Imagine if your landlord was also your Lord and Savior. Anyhow, this could all be on the up-and-up. I don't know if Emma and Jesus were ever convicted of anything, and it's been a long time, so it's totally possible that this couple is renting places. That said, it's still not the intent of the Zillow website to allow people to add their ads to each and every house that doesn't have an owner who claims it. Then again, I suppose it's just a website designed to get money from people, so if that's working, the company might not care who hijacks the database.